The Titan Series Floater is built to get more out of every day and pack more productive days into every season, Titan Series floaters are ready to help you make the most of your windows of opportunity. Whether you're applying liquids, granular materials, or both, you'll be riding high in a machine that's designed to meet the needs of professional applicators. It's about rugged construction. Machines with productivity improving features, the best service and support network in the industry and a legacy of leadership that puts a premium on delivering real value. Available in two horsepower ratings, the Titan 40 Series’ high-horsepower diesel engines feature the world-class design innovations of FPT Powertrain Technologies. A sister company of Case IH, FPT is a global engine development leader that makes more than 2.6 million engines every year. 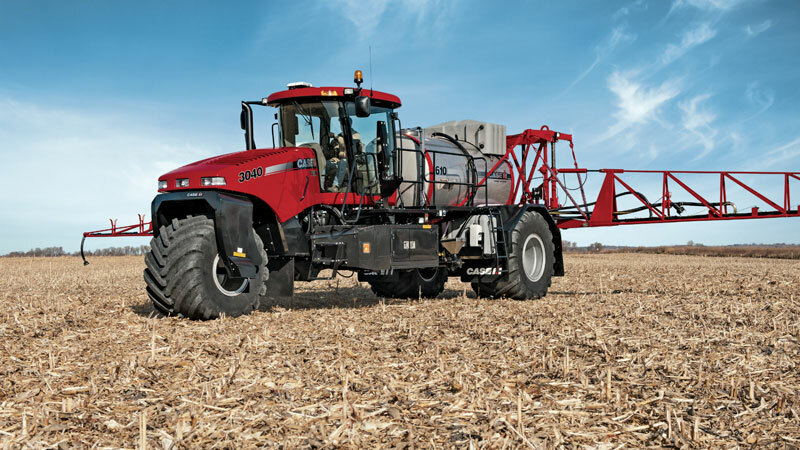 Engineered for extraordinary quality and durability, and tested and proven by Case IH engineers, this 8.7-liter engine is designed to meet the tough conditions found in agriculture while delivering optimum fuel efficiency and ease of service. FPT world-class design innovations power all Case IH products over 100 horse power, delivering Efficient Power to increase responsiveness and fuel efficiency.